A delightful drawing of a church coloured in shades of pink and brown together with a tree, pram, flowers, a small bird, hearts and 'X's. Hand finished with glitter and various embellishments (not shown). 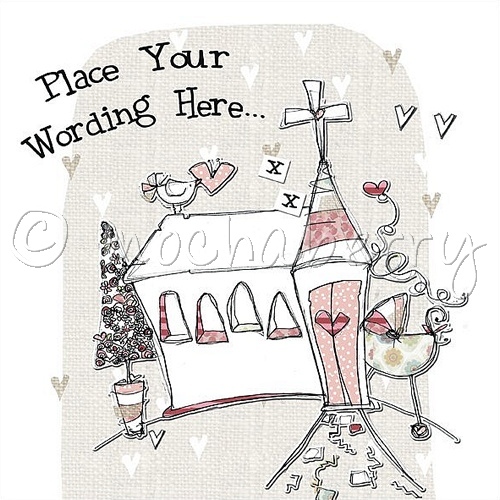 suggestions for use: girl christening, baptism, naming day, confirmation. Each card and comes with a quality coloured envelope that compliments the design and is sealed in a clear cellophane bag. The inside of the card has been left blank for your own message.